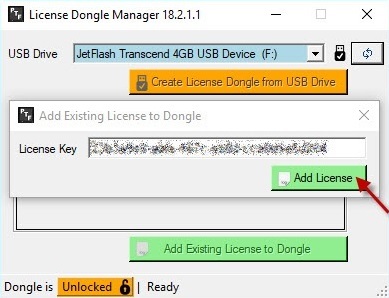 With the DongleManager you can place your PTF License for supported applications on a USB drive, creating a portable license. 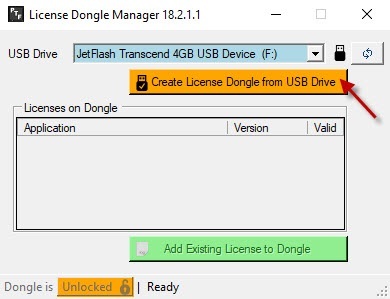 The DongleManager transforms you USB drive into a PTF Dongle that can hold PTF Licenses for multiple applications. 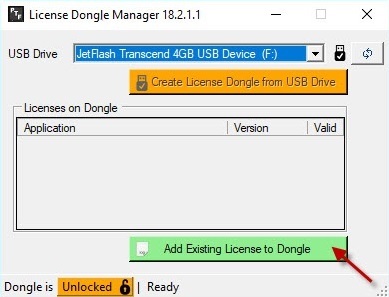 Using your USB drive as a PTF Dongle, any existing data on the drive is safe. You can choose to still use the drive for data storage or to lock the drive. A locked drive cannot be used for data storage anymore although all existing data is kept on the drive. You can choose to unlock a locked drive at any time. 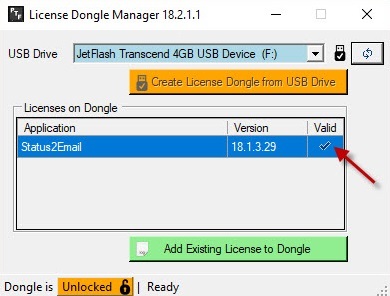 Your license is shown on the Dongle and marked as valid. 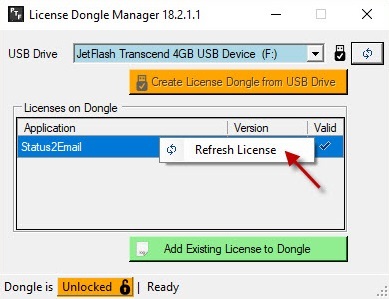 The dongle will only work with the current version of the licensed application. By default the Dongle is not locked and can still be used as an USB storage device. Clicking the 'Unlocked' button, the drive will be locked and can no longer be used as USB storage device. Locking the Dongle will not erase any data on your device and you can choose to unlock the device at any time. 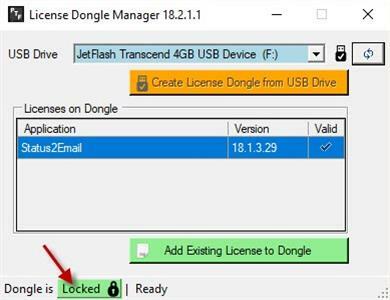 The Dongle is locked, clicking the 'Locked' button will unlock the Dongle making it available as storage device again.